Welcome to the 52 Small Changes Web Series. This is where I take each weekly change I prescribe in the book – 52 Small Changes: One Year to a Happier, Healthier You, and discuss my personal favorite tips or suggestions on how I like to make the change a reality. I encourage you to share your favorite tips in the comment section so that others can learn from you and what works for you in your life and personal situation. 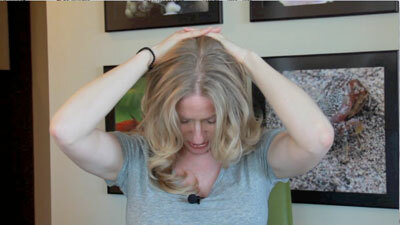 This week’s video is specific to Week 10: Take Time to Stretch. This is an important week in the book. Personally, I don’t like Yoga. And so, stretching is extremely important because I have to make a concerted, independent effort to do so. Yoga classes are great for stretching, but if you are anything like me, I get a lot out of the stretch, and not the Yoga. In this episode, I specifically address the kind of stretches you should try to do to release tension and stress from sitting at a computer all day. Our neck, our back and our chest all become severely hunched by the end of the day. Taking a break to stretch with these basic stretches, however, keeps you mindful of your posture and allows blood to flow through the areas that become congested from being locked into position all day. As you know, I love comments and want to hear from you! So, share your thoughts at the bottom of this post. If you like these tips, you can learn a lot more from the book. 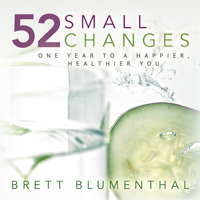 52 Small Changes: One Year to a Happier, Healthier You, is an easy to follow, week-by-week guide to healthy change. Get it now at Amazon.com. Like what you see? Sign up for updates...It's FREE! © 2014 Brett Blumenthal Sheer Balance. All Rights Reserved.